1. 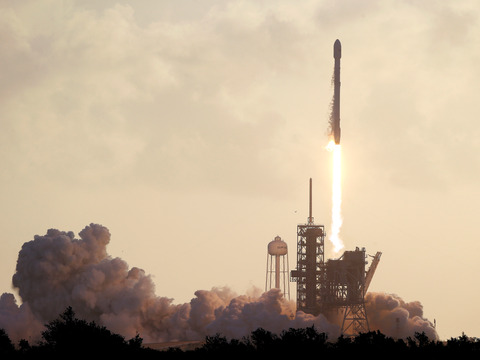 SpaceX landed its tenth successful rocket. The successful landing followed the rocket’s launch of a top secret government satellite. 4. Google is promising a big update for its drone delivery initiative ‘Project Wing’. A group of employees is leaving as the drone unit prepares an important update to demonstrate its progress. 5. A hacker leaked 10 stolen episodes of ‘Orange Is the New Black’ season 5 after Netflix allegedly refused to pay their ransom. Most of the season, which was expected to debut on June 9, was uploaded by the hackers to the file-sharing website The Pirate Bay. 7. Elon Musk revealed new details about his tunneling project ‘The Boring Company.’ Musk’s latest venture, led by SpaceX engineer Steve Davis, is working on building a network of underground tunnels in Los Angeles that would transport cars on an electric skate.